Daburn distributor sales representatives will have the opportunity to win a new iPad in the first quarter of 2012. 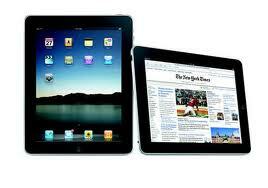 The sales rep with the highest dollar value of sales orders from January to March of 2012 will win a new iPad. Lori and Rita will track sales and keep a list of the top 3 on this page. Make sure you let them know every order that is yours. The winner will be notified in April. Contact Lori or Rita for more details and to sign up. Good Luck.